Are you looking for an easy way to customize the look of your car or truck? Or are you looking to make driving safer? Upgrading your tail lights not only adds style to your car, truck, or SUV, but you also gain added safety and visibility. Spyder smoked black with U-bar LED tail lights are a cool way to add style & safety to your truck or car. Spyder smoked black with U-bar tail lights offer a simple plug-n-play installation that takes just minutes. 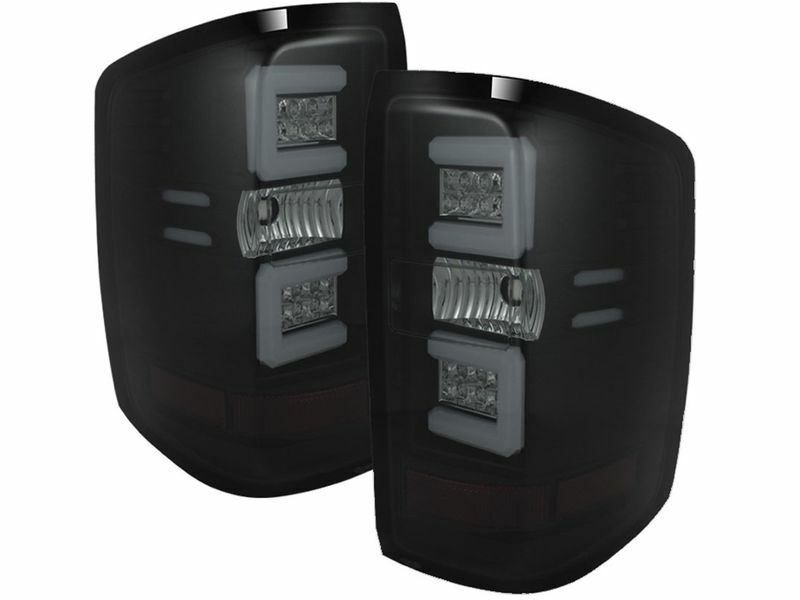 These high quality tail lights are made from only the best components and are very durable and scratch resistant. All Spyder smoked black with U-bar tail lights are SAE and DOT approved, meaning they meet or exceed the standards set for original equipment manufacturers. Let your car or truck off the chain and add a set of Spyder smoked black with U-bar LED tail lights to enhance the look of your show piece or everyday driver! All Spyder lighting products are designed to make the installation process simple and easy. All mounting hardware and wiring comes included and there are no special tools required. If you have any questions or would like any additional information, you can always give our customer service department a call. They are available seven days a week for your convenience.